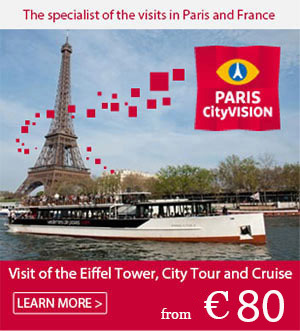 France is world renowned for its great cuisine, excellent wines, multitude of cheeses and especially delicious pastries. You can say it, the French love their food! In recent years, highly talented young pastry chefs have decided to bring a modern touch to the time-proven Paris-Brest, Saint-Honoré, mille-feuille, éclairs, lemon tarts and other sweet treats. They have been revisiting the great classics but are also inventing new desserts. To help you find your way around, we’ve chosen the best places of the moment in Paris for you. Enjoy! Owner of several restaurants in Paris including Le Quinzième (1 Michelin star), a few years ago Cyril Lignac also opened La Pâtisserie in the 11th arrondissement, together with Benoît Couvrand. In March 2016, he launched La Chocolaterie, a welcoming place where you can have a coffee aside one of his delicious pastries. We recommend you try the Caraïbe, an all-chocolate cake, and the Equinoxe at La Pâtisserie, or the chocolate tart and hazelnut dessert at La Chocolaterie. Though he’s little known to the general public, Yann Couvreur is a young pastry chef on his way up! Having worked in prestigious Parisian establishments like the Trianon Palace in Versailles, Park Hyatt Paris Vendôme, the Burgundy and the Prince de Galles, he decided in May 2016 to open his own pastry shop in the 10th arrondissement. His pastries and excellent desserts can be taken to go or eaten on the spot. Some of them are made exclusively while you wait, like the heavenly mille-feuille with vanilla from Madagascar. Or give in to the temptation of a succulent Saint-Honoré. We suggest you try their excellent vanilla mille-feuille, their lime tart and their chocolates, which are the best in our opinion. Feel like having an éclair? If you have a craving for éclairs of all kinds, you’ll find what you’re looking for in these 2 shops. Here are some of the éclairs that will make your mouth water: salted butter caramel, pistachio raspberry, vanilla pecan nut, milk froth hazelnut, and lemonade. Note: highly original with a Street Tarts concept and, lately, ice cream “a la plancha”! Definitely worth going there. We suggest you try the Paris-Brest as well as the lemon tart on a shortcrust base. Founded in 1730, this is the oldest cake bakery in Paris. You can’t go away without tasting their rum baba topped with whipped cream, created by Nicolas Stohrer in the 18th century! Their lemon tart is also a must!